- When we take a look at the first quarter of 2019, for instance, we see that a large number of Fine Art auction lots have proved the extraordinary profitability of Art as an investment over the last thirty years. Of these the most spectacular was probably David Hockney'sHenry Geldzahler and Christopher Scott (1969), which fetched the quarter's best result at over $49 million on 6 March 2019 at Christie's London. In November 1992, the same 2x3 metre canvas had sold for $1 million." 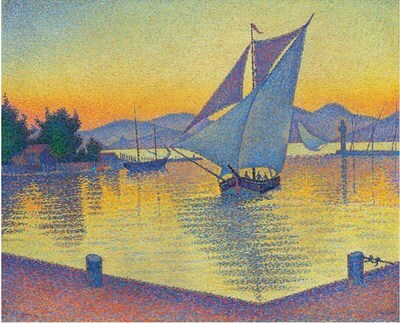 The price evolution of Paul Signac'sLe Port au soleil couchant proves that the best financial returns are not reserved for Post-War and Contemporary artists. Take for example the latest result for an ink drawing by artist Yu Feian (1888-1959) entitled Parrot (1945). Purchased in Hong Kong in 1990 for $11,400, the same drawing resold for 70 times that amount in the same city (Sotheby's) on 2 April 2019($787,000).